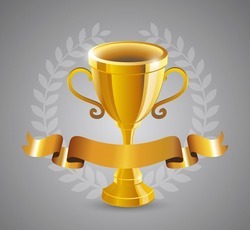 The CGHC is pleased to announce that we will be continuing to expand and improve the Year End High Point Awards Program! 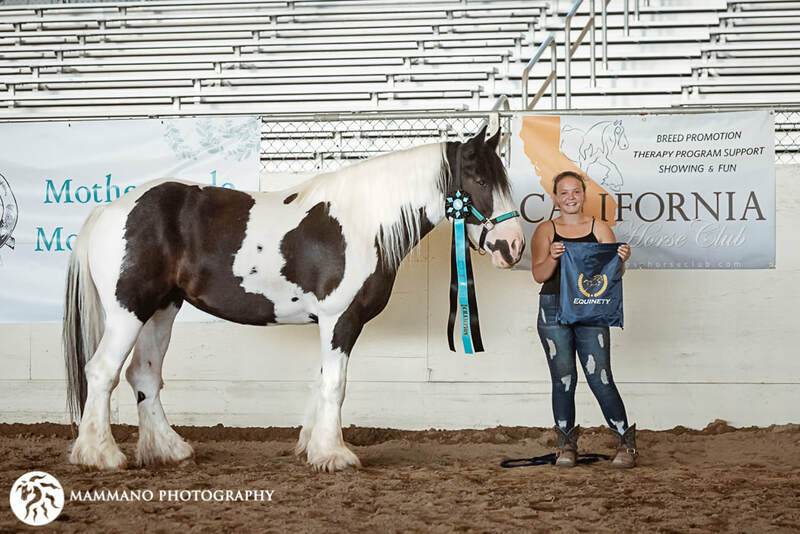 We added a Brand New Division in 2018, High Point All Around Gelding! We hope in the future to host an official year end banquet and awards ceremony as the shows and the club continue to grow. 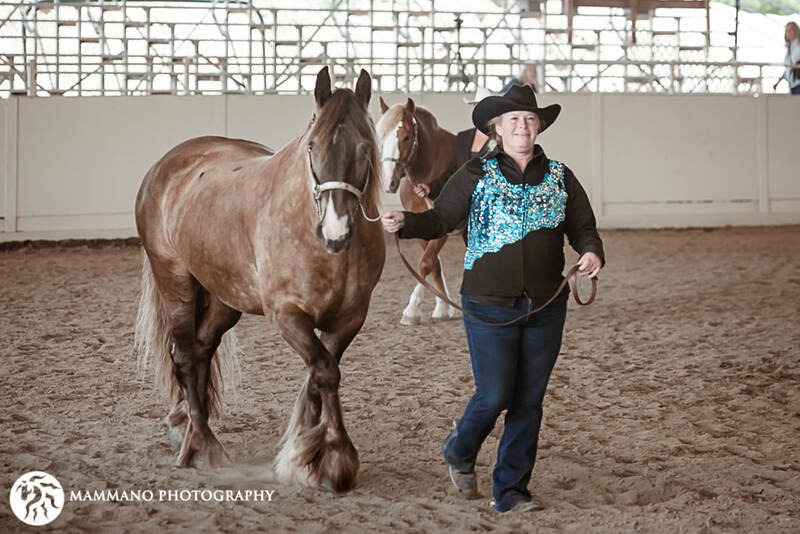 We look forward to seeing everyone at the shows this year and we hope you will be able to attend both of the 2019 CGHC shows (Spring and Fall) in addition to our affiliate show, The Festival Of The Gypsies! 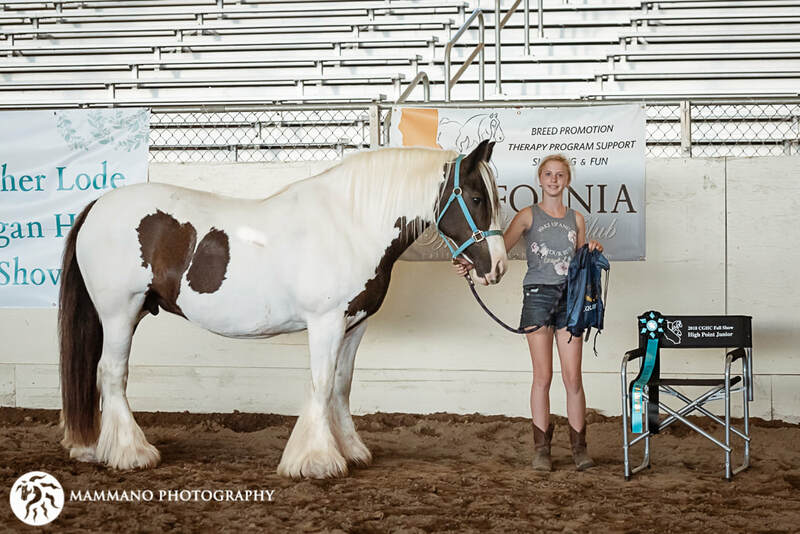 A huge congratulations to the 2018 CGHC Year End Award Champions and to everyone who attended the 2018 shows in order to qualify. This is the forth year the CGHC has offered this awards program and we look forward to seeing everyone out there having fun and earning points again next year! 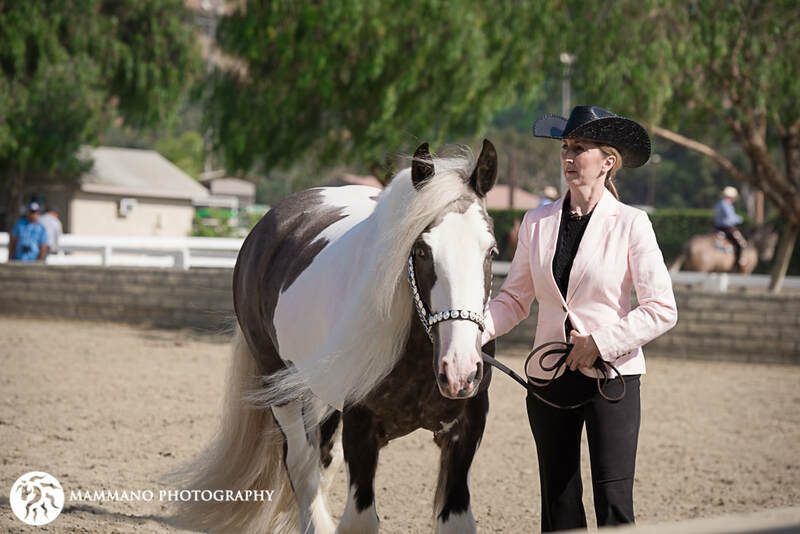 Owner of the horse and the Exhibitor must be a Member of the California Gypsy Horse Club in good standing. 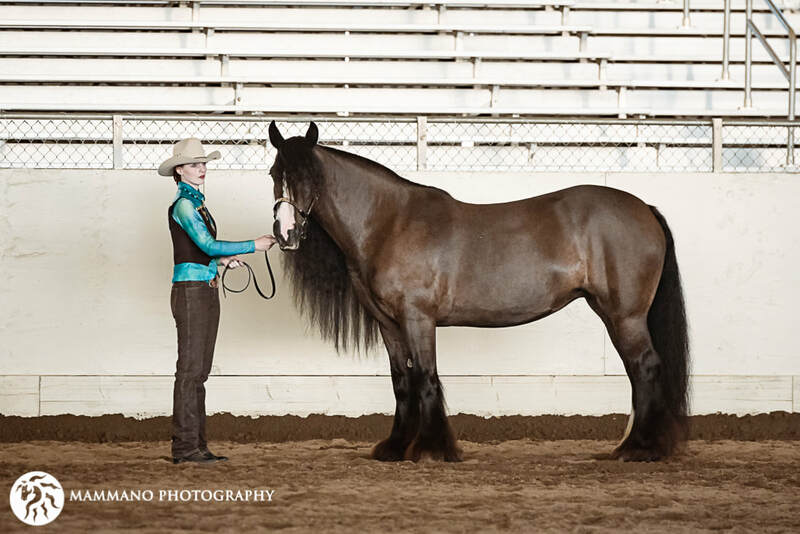 The horse must compete in at least 2 approved shows in the CGHC 2018 show series to be eligible for award. Points will be tabulated after the completion of the last show in the series and awards will be announced by the end of the calendar year. Points will be listed on the CGHC website after the first show of the series and updated after each subsequent show so exhibitors may track their points. 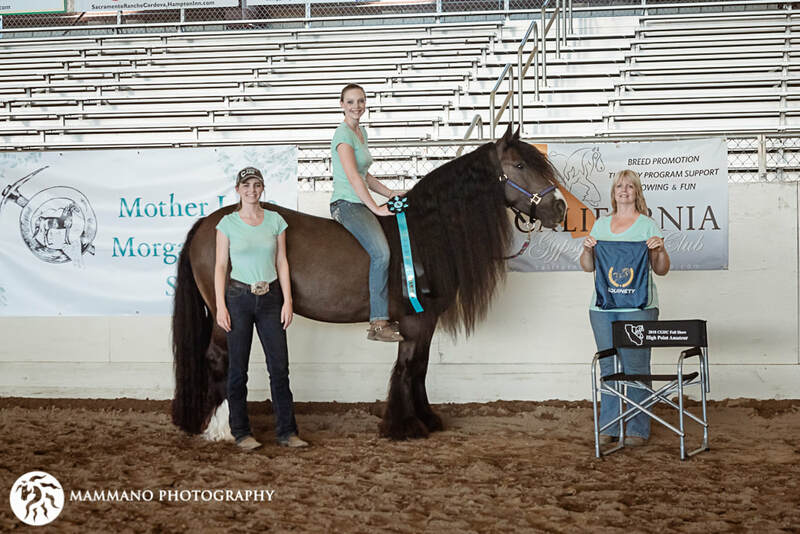 Points will follow the horse, regardless of handler for all in-hand classes. Points will follow the same horse and rider/driver combo for all ridden and driven classes. In the event that there are multiple riders/drivers for the same horse then the combo with the highest accumulated points will be used. 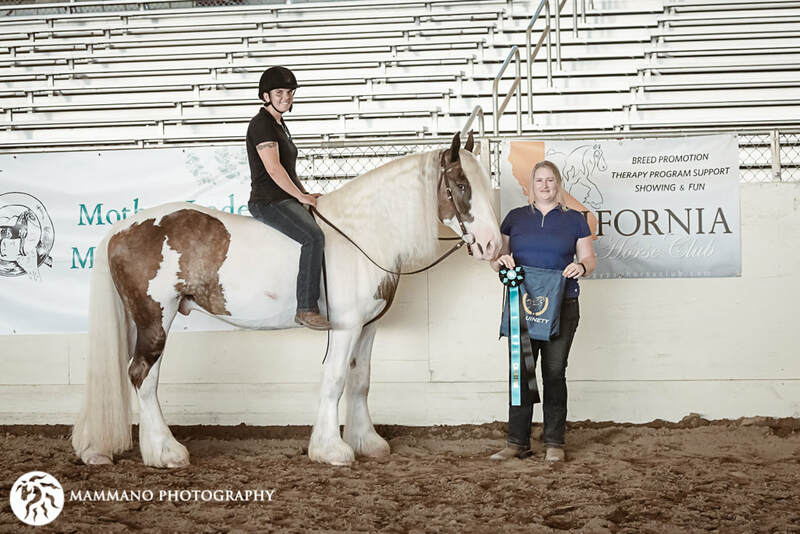 Once an Amateur or Junior rider enters a class that is designated for Amateur or Junior riders only they will no longer be eligible for the Open High Point Division. Before each show there will be a list of the High Point Eligible classes posted. Points will follow the individual horse and a change of handler will not affect the points. 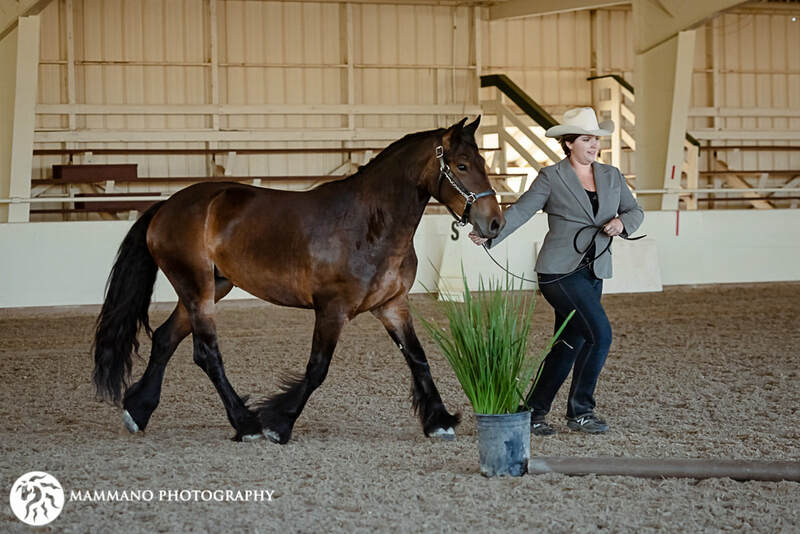 In-Hand classes to include: Trail Obstacle In-Hand, Dressage Suitability In-Hand, Showmanship, Grooming & Conditioning and Liberty. Points will follow the individual horse and a change of handler will not affect the points. 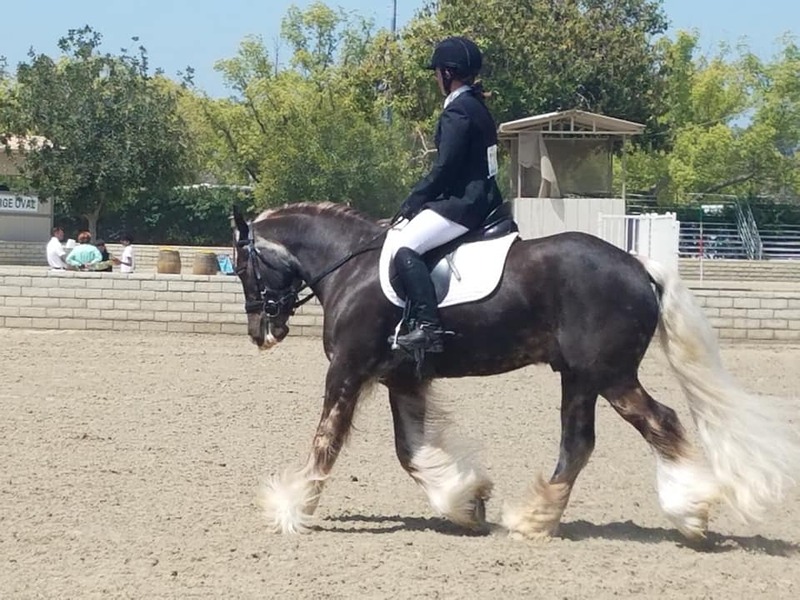 Points to count from all Open under saddle and driving classes excluding costume and other “Fun or Game type classes”. Points to follow the same horse and rider/driver combo throughout the season. Points to count from all Junior specific classes. Points to follow the same junior and horse combo. Points to count from all Amateur specific classes. Points to follow the same Amateur and horse combo. Points to count from all classes. All Gypsy Cross Classes to count. Points will follow the individual horse for all in-hand classes and the horse/rider combination for all under saddle classes. 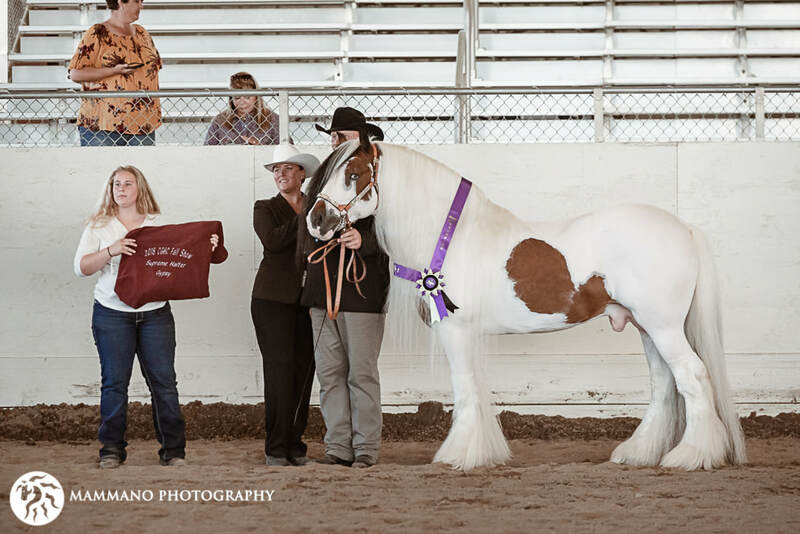 A huge congratulations to the 2017 CGHC Year End Award Champions and to everyone who attended the 2017 shows in order to qualify. This is the third year the CGHC has offered this awards program and we look forward to seeing everyone out there having fun and earning points again next year! 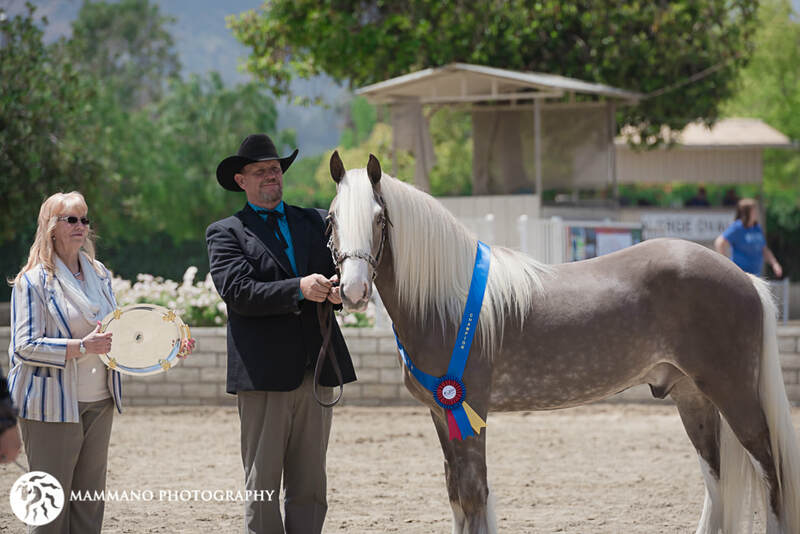 A huge congratulations to the 2016 CGHC Year End Award Champions and to everyone who attended the 2016 shows in order to qualify. This is the only the second year the CGHC has offered this awards program and we look forward to seeing everyone out there having fun and earning points again next year! Congratulations to the 2015 CGHC Year End Award Champions!!! This was our first year launching this program are we have so many new and exciting changes for next year! Thank you to everyone who came out and supported the shows and this program!! !